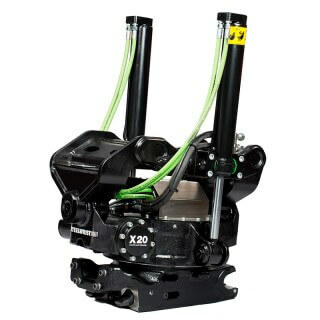 Fully cast tiltrotators and quick couplers with a low build height, greater tilt angle and front pin lock mean that you can work safely and efficiently. Our XControl control system reduces fuel consumption and is intuitive to use. More and more people are choosing Steelwrist. Thanks to careful optimisation using advanced simulation tools and exhaustive tests, you are guaranteed value for money. We’ve left nothing to chance. Safety first! Our XControl control system automatically ensures that you can only use the correct quick coupler if you have a tiltrotator with quick coupler. By using quick couplers with front pin lock for tiltrotators, we are creating a solution with the highest safety class – for all excavators! 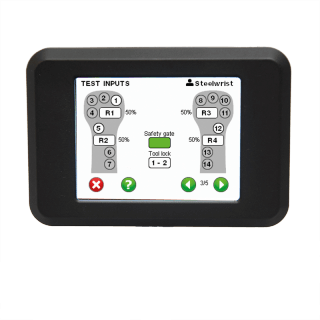 XControl can also be auto-calibrated to ensure the lowest fuel consumption and best operability – added value for both your wallet and the operating experience.You can of course have multiple profiles for different operators or tools. Whatever you want to do with your excavator, your idea has to be relayed to the tool in the ground using joysticks. Your efficiency is of course affected by the joysticks’ ergonomics and functionality. We use the XControl joystick and SVAB L8 to make your job simpler and more comfortable. The two best joysticks on the market. Both joysticks are of course available with hand rests. 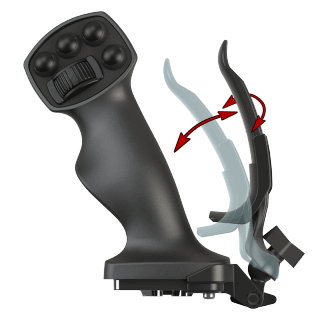 Both joysticks also have double signal management – a requirement for driving at speeds higher than 9 km/h with wheel steering. The result of a dropped bucket can be devastating, and several serious accidents occur every year.Using a coupler with front pin lock will ensure that you and your employees feel safe in the workplace. Snap-locked front pin – locks the front pin in the tool as soon as it enters the coupler grip. 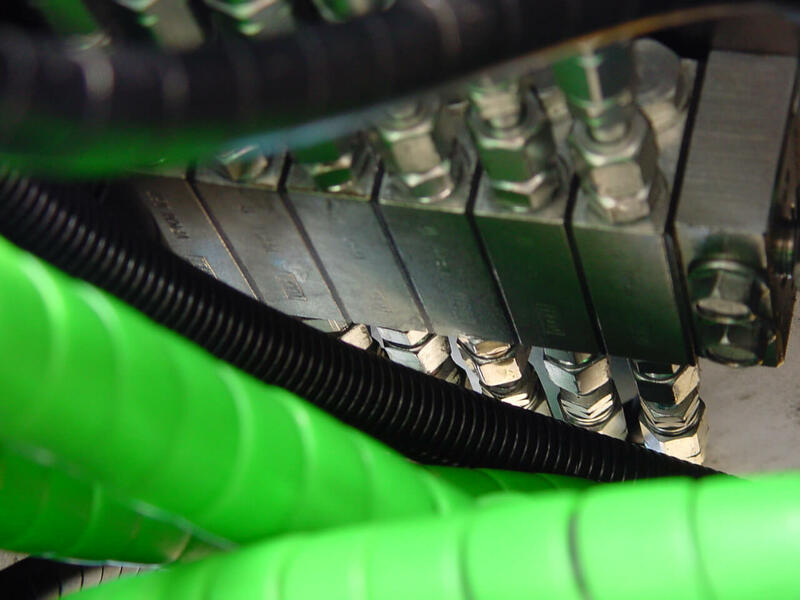 Positive lock indication – in addition to negative lock indication, the coupler also indicates using a green pin that the coupler is in the locked position, i.e. that the snap lock is active. Front Pin Lock™ is standard for all Steelwrist tiltrotators and quick couplers. 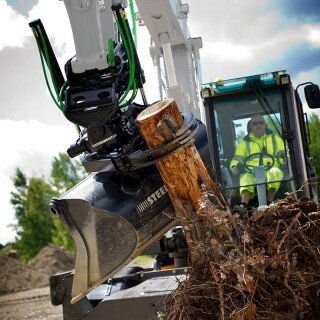 An integrated gripper unit – a great tool to help increase your productivity significantly.The aim of Steelwrist’s four-finger gripper unit is to increase safety when handling objects. Multiple and wider contact surfaces mean a better grip. The gripper unit opens properly, closes almost completely, has strong cylinder housings and does not protrude at the rear such that it interferes with the excavation.This can of course be retrofitted. The benefit of having full control of the entire machine directly via the joysticks is obvious. Once you have tried it, you won’t look back.Whether you use wheel or track steering, no time or efficiency will be lost to any small movements. If you use wheel or track steering, you are guaranteed safe and flexible alternative steering, giving faster movement and better flow during work. Steelwrist wheel and track steering satisfies all ISO requirements.